2015: Sorry, this property is no longer on the market, contact me with questions! What a fantastic, sunny waterfront home! 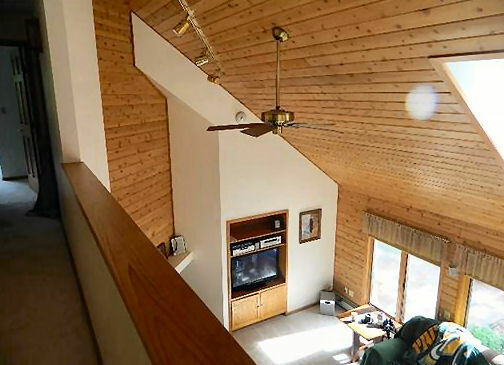 This newer, 1.5 story home is on the upper east side of the Chippewa Flowage off of Hwy B, approximately 17 miles east-southeast of Hayward. 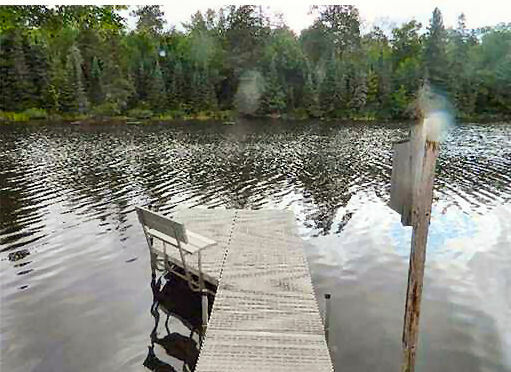 According to the WDNR, the Chippewa Flowage is Wisconsin’s third-largest lake and boasts a highly irregular, wooded, and generally undeveloped 233-mile shoreline. The ‘Big Chip’ has spectacular natural scenery and unending bays, points, floating bogs and channels, and is known for recreational boating along with excellent muskie and walleye fishing. This cedar-sided home has a splendidly landscaped yard, with water fountains, and many brick walkways, patios and seating areas in both the front yard, and lakeside. 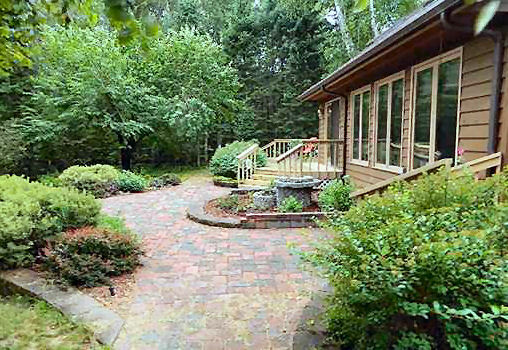 An immaculate brick path leads you down to the water’s edge and the panoramic view of the untouched beautiful shoreline of the flowage. Inside, this welcoming, spacious home comes alive! The rooms are already bright and airy but the grand knotty pine vaulted ceiling of the great room lends even more loftiness to this house. Expansive windows and patio doors line the great room, dining area and kitchen for a stunning northwoods view from every room. The gas log fireplace provides all the ambience you need on those winter eves in the woods. A well-furnished kitchen with a large center island adjoins the living area, along with a mud/laundry room which leads to the 2 car attached garage. At the opposite end of the main level I found an extraordinary master bath, walk through closet and master bedroom, again with windows galore! The unique upstairs has a dramatic open walkway between the two large bedrooms. 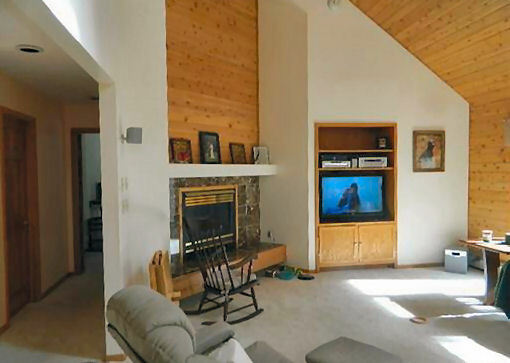 One full bath upstairs, ample closets, and a separate study area complete the second floor. Abundant areas for storage include; many closets, the spotless basement, and the outside shed off the driveway. There is much more to this home that I haven’t even wrote about here – this one is a must see! 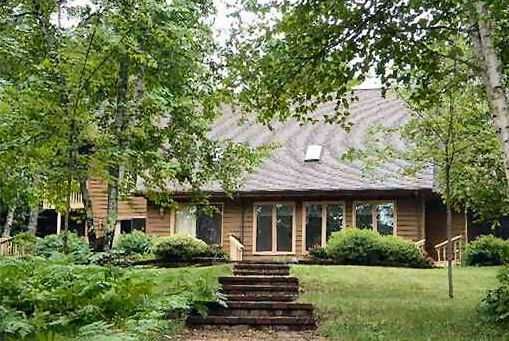 If you would like more information or pictures of this exceptional home on the Chippewa Flowage, contact me today. Cathy LaReau, Realtor Area North Realty, Inc. Pricing and availability can change after this is published. Always check with me for accurate and updated information on this or any listing I post about! 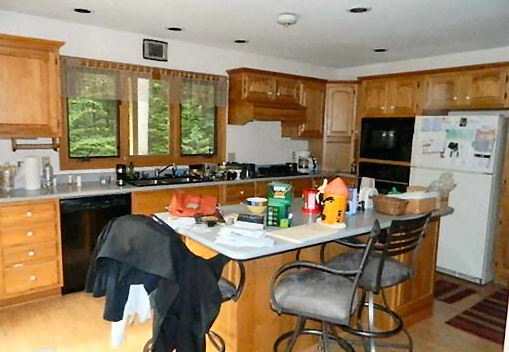 This entry was posted in Homes For Sale Hayward, on the water and tagged area north realty, big chip, cathy lareau, chippewa flowage, executive homes for sale hayward, fishing on flowage, for sale on chippewa flowage, Hayward Wisconsin, Vault (architecture), waterfront for sale flowage, waterfront for sale hayward, waterfront homes for sale. Bookmark the permalink.